Alex L. Parks & Edward V. Cattell, Jr. 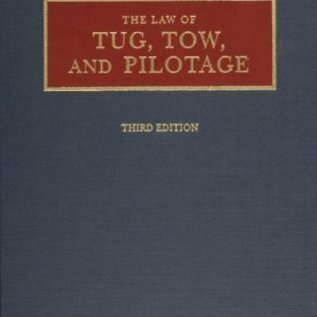 In its first two editions by the late Alex L. Parks, this work achieved a worldwide reputation as the authority on the maritime laws that relate to the towing industry and pilotage. The current editor has continued in that fine tradition. 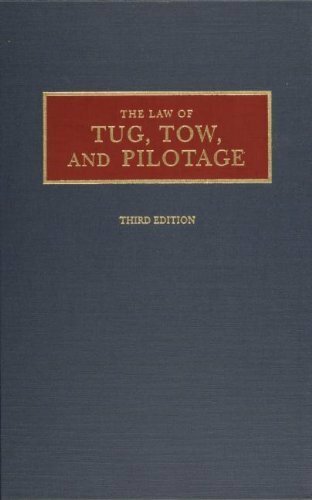 Nowhere has the law related to marine transportation of goods by tug and tow and harbor towage and pilotage been treated in greater depth. The citations are presented in a useful form, giving precedence to the AMC cites most commonly used by the admiralty practitioner; the essence of the holdings of cases is enclosed in parentheses following the citation.Providing the professional practitioner with a ready source of reference to this area of the maritime world, the book treats the concepts of the field by tracing their derivation in admiralty law. Also included with the analysis of each topic is a thorough survey of case law. In this edition new case citations have been added, updating the law where there have been changes and reflecting the inevitable evolution of the law that is its lifeblood. The case update is generally through the 1992 AMC.